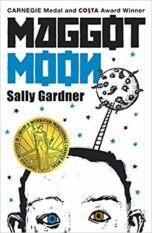 Sally Gardner’s books have sold over 2 million copies worldwide, and her work has been translated into more than 22 languages. Sally’s genre-defying novel, The Double Shadow (Orion 2011) received great critical acclaim and was also longlisted for the Carnegie Medal 2013. 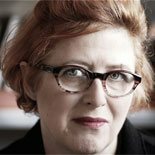 Her other novels, The Red Necklace (shortlisted for 2007 Guardian Book Prize) and The Silver Blade, are set during the French Revolution. 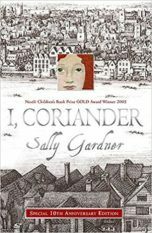 Sally also won the 2005 Nestle Smarties Children’s Book Prize for her debut novel I, Coriander. 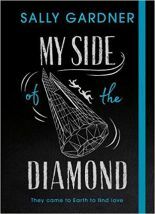 The Double Shadow (Orion 2011) was published in both children’s and adult editions. 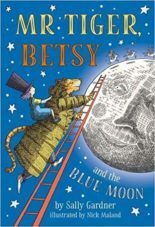 Maggot Moon (Hot Key Books 2012) won both the Costa Children’s Book Prize and the Carnegie Medal 2013. 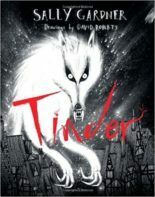 Sally is also the author of the popular Wings & Co Fairy Detective Agency Series (Orion) for 7-11 year olds; the YA novel Tinder, illustrated by David Roberts (Orion 2013), The Door that Led to Where (Hot Key 2015), My Side of the Diamond (Hot Key 2017) and Mr Tiger, Betsy and the Blue Moon (Head of Zeus, 2019). 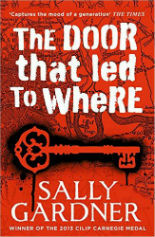 Sally Gardner also writes adult fiction under the pseudonym Wray Delaney. Her debut adult novel, An Almond for a Parrot was published by HarperCollins in summer 2017. 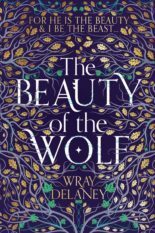 The Beauty of the Wolf (HarperCollins) comes out in February 2019.